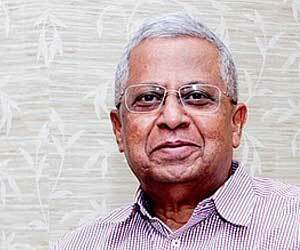 Shillong: Meghalaya Governor Tathagata Roy on Tuesday handed over a Rs 3.5 lakh cheque to the SOS children’s village officials for corrective surgery of a 14-year-old boy, a Raj Bhavan statement said. The governor handed over the cheque to a representative of the SOS Children’s Village at Umiam in Ri-Bhoi district for treatment of Heimon U-ru Mukhim, 14 years of age for surgical intervention to correct sideward curvature of his spine, it said. The assistance has been provided from Discretionary Grant of Governor and Heimon will be treated at the North Eastern Indira Gandhi Regional Institute of Health and Medical Sciences (NEIGRIHMS), near here, the statement said. Roy, who personally handed over the cheque, enquired about the well-being of the boy and wished him a speedy recovery, it added.